Do You Need More Excitement in Your TV Life? Call TV Magic Idalia Today! 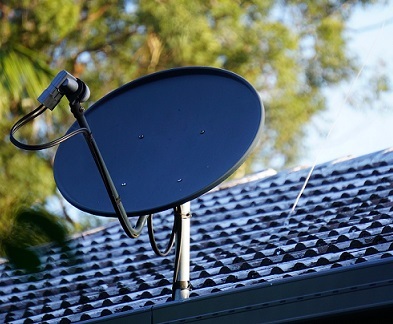 If you find yourself turning on the TV and discovering that it's quite dull, then it's time to make a call to Satellite Dish Installation in Idalia. Many Idalia families are still complaining about the same channels and repeats of shows that they see every day, and rarely is there anything truly interesting to watch. But why should you have to miss out just because you aren't interested in the same old free to air channels that society always assumes we are interested in. You shouldn't! You should have hundreds of exdciting new channels at your fingertips so that you never find yourself saying "Nothing to watch again!." Have More Control Over Your Entertainment with a TV Magic Satellite Dish! If you are tired of just watching whatever the media happens to throw at you on a day to day basis, then it may be time to upgrade to a type of TV that allows you to have more autonomy in what kind of TV you watch. Satellite TV gives you the option of watching one of hundreds or new channels from all around the world. Your Satellite Dish connects to space Satellites which can bring you TV from almost any country including the USA, Korea, Malaysia, Japan, the UK and many other countries all over the world. Not only do you now hav access to channels from many other countries, but also, channels from all over the world. If you want to watch TV that makes you feel relaxed and excited, rather than bored and frustrated, then you need to call TV Magic to get your very own Satellite Dish today! The other amazing bonus of having a Satellite Dish installed is that they rarely ever experience interruptions to coverage, so not only can you enjoy hundreds of new channels; you can enjoy them on crystal clear TV, all year round!